Biotechnology and Food Quality focuses on the potential of biotechnology in quantitatively and qualitatively modifying agriculture. The selection first offers information on the benefits of agricultural biotechnology on developed and developing countries, food quality education, and food quality, biotechnology, and the food company. Discussions focus on consumer concerns, demographic and social changes, scope and future role of food quality, and improvement of agricultural raw materials and processed foods. The manuscript then underscores how to make technology transfer work and the regulatory considerations of biotechnology. 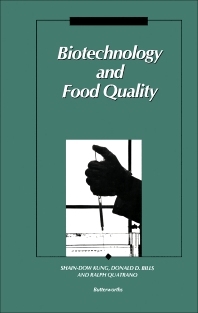 The text examines the characterization and modification of maize storage proteins; genetic modification of traits of interest to consumers and processors; and omega-3 fatty acid improvements in plants. Topics include genetic engineering of fatty acid biosynthesis, cellular genetics, molecular biology, application of technology to food products, and genetic engineering of lysine-containing alpha zeins. Cell wall dynamics, prospects for the use of genetic engineering in the manipulation of ethylene biosynthesis and action in higher plants, and molecular interactions of contractile proteins are also elaborated. The selection is a highly recommended source of data for biotechnologists, agriculturists, and food experts.